Check these low carb Taco Shells out by Cleo!!! Cut ends from zucchini. Shred. Mix with egg and cheese. Using a 1/3 cup measuring cup, make 6-8” circles on greased cookie sheet(s). Bake at 450 degrees for 12 minutes. Loosen and flip the circles. Bake for another 5 minutes at 450 degrees. Take hot patties and wrap around a rolling pin. When cool enough to handle and with form, let cool on a rack for 6-8 hours in a cool oven. (To hold the shape, if you have those stackable racks, you can inset the edges through the racks of a cooling rack or your oven and allow them to hang down. They may curl slightly. Don't panic! They should be still pliable enough the next day to open without breaking). Cook or thaw frozen cauliflower. Shred, rice or chop. 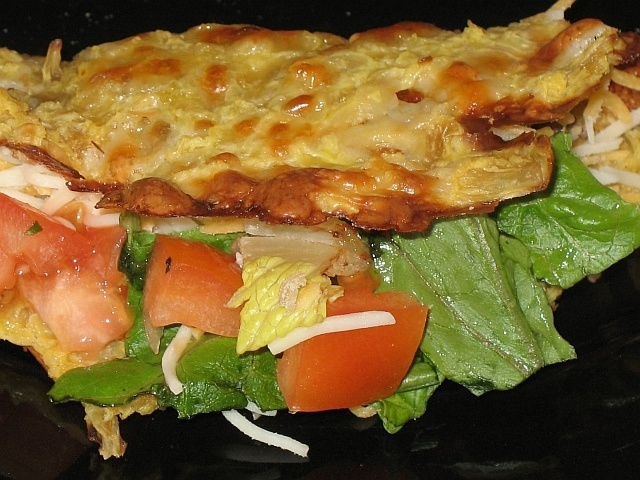 Mix with egg and cheese. Using 1/3 cup scoop, make 12 6-8” circles on greased cookie sheet(s). Bake at 450 degrees for 12 minutes. Loosen and flip the circles. Bake for another 5 minutes at 450 degrees. Store on rack until crisp and then in an open container to prevent moisture. I forgot how good these looked! I forgot about these again! Did anyone ever try these?